CLEARANCE - The Perfect Pancake (As Seen on TV) ONLY $10 + FREE Shipping (Reg. $20)! You are here: Home / Great Deals / CLEARANCE – The Perfect Pancake (As Seen on TV) ONLY $10 + FREE Shipping (Reg. $20)! 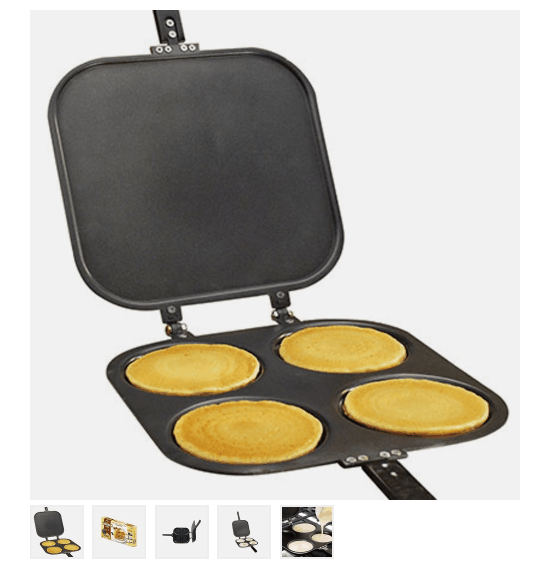 CLEARANCE – The Perfect Pancake (As Seen on TV) ONLY $10 + FREE Shipping (Reg. $20)! The Perfect Pancake (As Seen on TV) ONLY $10 + FREE Shipping (Reg. $20)! I have this and LOVE it – it really does make the perfect, round pancakes (like the ones at McDonald’s)! And I’m happy to tell you that right now you can snag The Perfect Pancake (As Seen on TV) for only $10 + FREE Shipping (Reg. $20)! It makes 4 perfect pancakes at once – what a time saver! !